UCC’s main campus is based on Western Road, just a short walk from Cork City centre. The site is thought to be connected to the patron saint of Cork, Saint Finbarr, thus explaining the university’s motto ‘Where Finbarr Taught Let Munster Learn.’ The main campus is home to the university’s most famous and well-known sight containing historic buildings with a green area called the Main Quadrangle or the ‘Quad’ as it is better known. Main campus also houses Áras na Mac Léinn (the student centre) and the university’s main library, the Boole Library (named for George Boole, UCC’s first professor of mathematics and an important figure in the early stages of computer programming). Many UCC buildings and teaching bases are located in the surrounding Cork area, such as the Brookfield Health Science Complex and the Western Gateway Building, the music building, Cork University Hospital and the Tyndall National Institute. Academically, the university is divided into four schools; the College of Arts, Celtic Studies, and Social Science, Business and Law, Medicine and Health, and Science, Engineering and Food Science. Over 21,000 students at undergraduate, postgraduate, and doctoral levels attend UCC, as well as a significant amount of research – some of it making national and international news – being carried out at the institution. As for student life, there is a huge choice of student societies and sports clubs with which to get involved, as well as students being members of the nearby, state-of-the-art Mardyke Gym once they pay the required university capitation fee. UCC students reside either in dedicated student accommodation, rented houses in the surrounding area, or Cork natives may stay at home. The university consistently does well in Irish and global rankings. UCC is ranked in the top 2% of universities worldwide and was named number one university in Ireland most recently in 2016. As well as many UCC students taking part in study abroad programmes all over the world, the university also hosts a significant portion of international students, mostly from the US, China, and France. I enjoyed my time at UCC. I think it’s a great university with many solid options as courses. Having studied Commerce with Chinese I can say that the opportunities in terms of travel and experience in the country of choice “China” are plentiful. UCC, in general, provide good opportunities for students in other courses also such as in the BIS course where the 3rd year placement opportunities are excellent in comparison to other institutes for the same degree. As a place to enjoy the college life so to speak, UCC has a good atmosphere around the campus where there almost always seems to be some sort of buzz going on. At the end of the day college is what you make of it so if you’re open to new experiences and taking all the opportunities available then UCC is a great place to study. I thoroughly enjoyed my time in UCC. It’s a beautiful campus with a huge variety of different courses, clubs and societies. The facilities there are top class and it’s situated really close to the city centre. I would recommend it to anybody. The lecturers there are excellent and really helpful. The student centre is a bit pricy but other than that it’s a brilliant place to be. UCC is an excellent university with much to offer both from an academic point of view and a social one. The lecturers come from varied backgrounds and are all experts in their field. There is huge support for students throughout the year and the facilities are constantly improving. UCC has many connections with other high-class universities all over the world and offers study abroad and exchange programs for many students. I traveled to The Netherlands for my year abroad and the process was made infinitely easier by the UCC staff and their advise throughout my year away. Another benefit of attending UCC is the wide range of societies on offer which is constantly expanding. Through societies, you make friends, learn new skills and get the opportunity to experience things you never thought you would. In my time in UCC I founded the Harry Potter Society and it made my UCC experience. UCC offers so much to its students and gives an all-around brilliant college experience. I have had a great experience in UCC. The lecturers particularly in the department of Gaeilge have been incredibly helpful and accommodating throughout the course. I feel that there is a good atmosphere in the college with plenty of society and clubs events. There are lots of clubs and society events, but library hours still not accessible enough. On campus dining facilities are poor. Mardyke arena is good but extremely crowded. Aside from that, it is a great university. I had a wonderful four years in UCC and perhaps only fully appreciate it now that I have left. It is such a friendly college, very inviting and accepting. The quality and f education is superb. The college is very near the city which is so convenient. It is small enough to feel homely, but not too small. Sports facilities really are excellent with automatic student membership of the mardyke gym and leisure centre. I loved my time at UCC it gave me my first feel for what a large university is like. I wish I had got more involved in more of the schools activities. Classes are super interesting. The going out culture is much more a week day happening since culturally most Irish students go home on the weekend. Food at the grocery stores are super cheap to buy but they will charge for bags. Class schedules are super different from American ones. If you're the owner or representative of University College Cork - UCC, you can claim this University and build a better profile. CIT lacks funding but genuinely cares about its students. 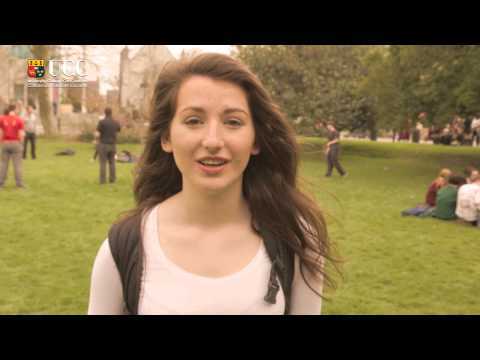 Interested in studying at University College Cork - UCC?